I love Ferrero Rocher chocolates,given that love,you'd think I am crazy about Nutella too,right.But no,I am not a grab-that-bowl-of-nutella person.I love chocolate spreads but not as much to eat on their own.Strange no?Funnily,I don't like to spread nutella on my bread as well.I prefer jam and butter instead.However the way I stock up on Nutella bottles,one would think otherwise. Maybe it has got to do with changing taste buds or maybe it is the strong chocolate flavor.But Nutella for me is only for mixing into cake batters and frostings.So when I saw this recipe for Nutella Pull-apart bread,I was literally 'pulled' to it.This recipe appeared as part of Homemade Bread recipes in GoodFood magazine a while back and it was developed by Saee of MyJhola. Two reasons for me to bake these-one being pull-apart bread success for every trial of mine.Be it the Garlic rolls or the Mint ones or the Pesto rolls,even the Cinnamon rolls,all have give me immense satisfaction in baking as well as polishing them off.Two being the recipe creator-Saee has been baking breads for a while now and posting wonderful videos of them and I felt the recipe can never go wrong. 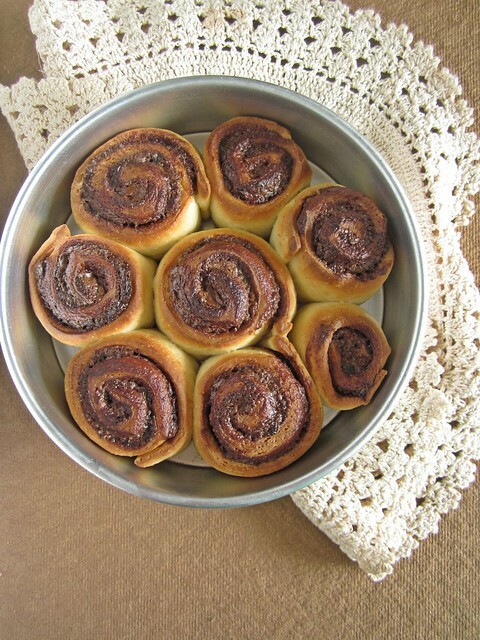 Fresh out of the oven,these tasted heavenly.Soft pillowy bread sandwiched in Nutella,these make for a delicious tea time treat.Next day,I microwaved the rolls for 10 seconds before serving and they tasted as fresh.Planning to try another batch with Orange Marmalade. So what is your favorite filling? 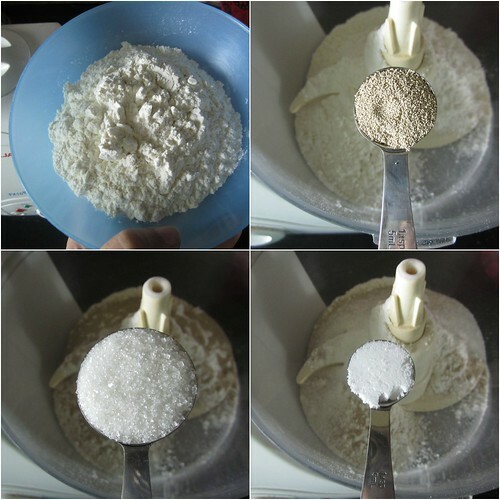 Into the bowl of your food processor,add maida,yeast,sugar and salt.Pulse for 5 seconds. 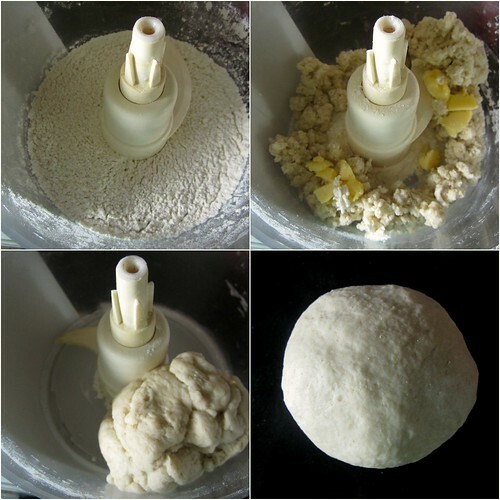 Add milk through the feed tube and process till the dough almost comes together.Mix in the butter and process till the dough forms a ball and leaves the sides of the processor bowl. Grease a bowl with some oil and place the dough in it and cover to let it rise,for about 45 minutes or until the dough doubles. 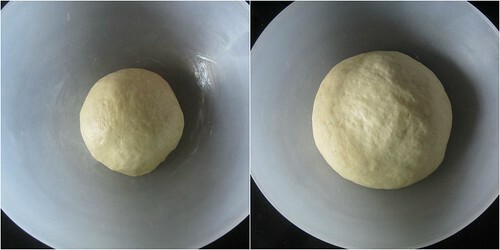 Punch the dough and knead again.Roll out into a floured surface to about a rough square of 12',about 1/4' thick. 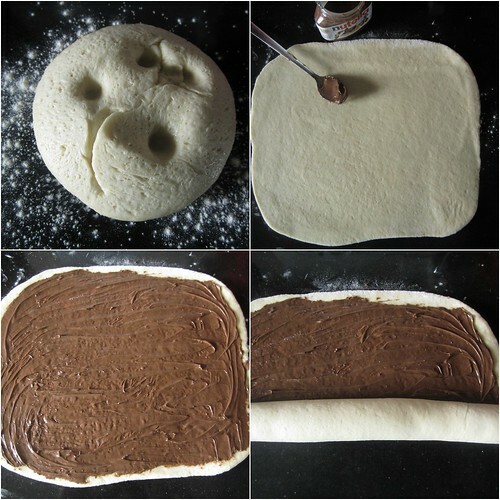 Spread the Nutella and then roll the dough into a spiral log. 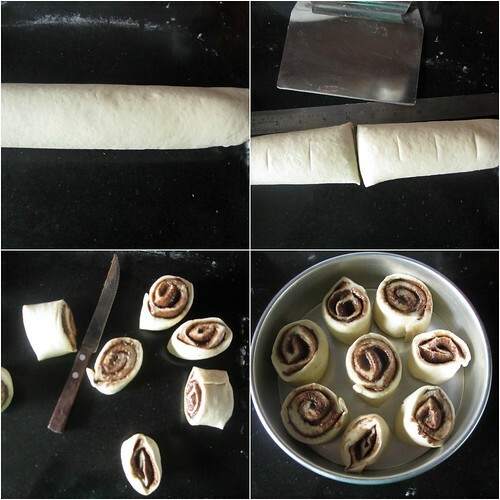 Cut the dough into 2' pieces and place cut side up in a round 9' pan with some space in between for the rolls to rise. Leave to double again,this time for about 35-40 minutes. Bake for about 20 minutes at 200C.The top should be light golden brown.Remove and brush with melted butter immediately. Wanted to try for long time after seeing in good food magazine ! yours tempting me to bake ! 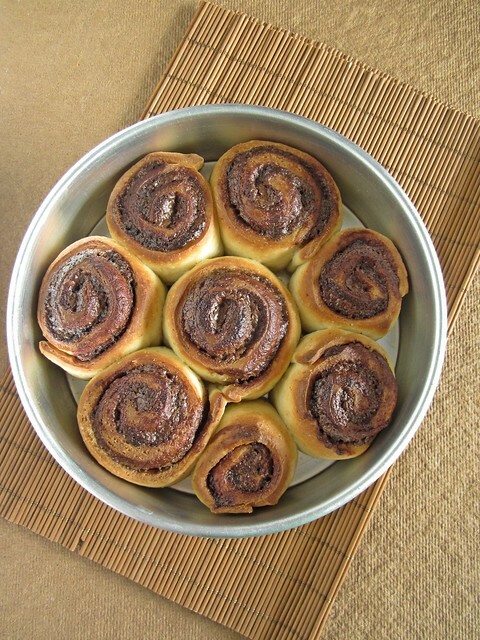 Great looking and inviting pull apart rolls . Must have tasted delicious. these are so good.. feel like grabbing two from the screen..
Wow, just awesome, u made me drool. 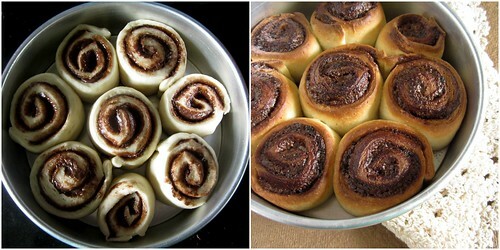 Yummy one.. A great filling of Nutella, I can go haywire over this ! 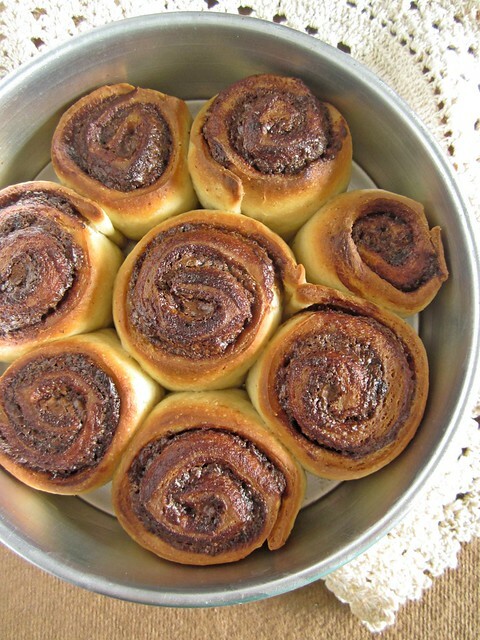 Such a gorgeous and droolworthy rolls, looks divine. Looking Yummy.... Happy to follow you. Please visit my blog http://anithajay.blogspot.com/ when find time. Gave it a try yesterday, turned out great. 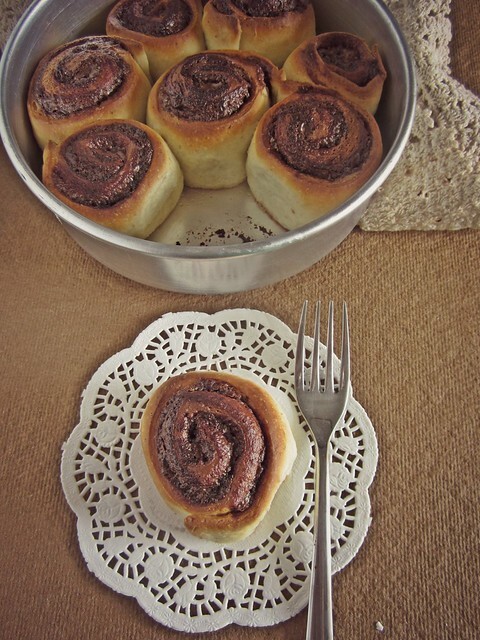 As a personal twist, sprinkled some cinnamon powder over the spread nutella.. Thanks again, your recipes are well written and photographs are a great help.. Just started with baking.. If I want to freeze these..at which all stages can these be frozen?? hii divya.. is there any way to make this dish in microwave? hii divya... is there any way to make this dish in microwave? ?